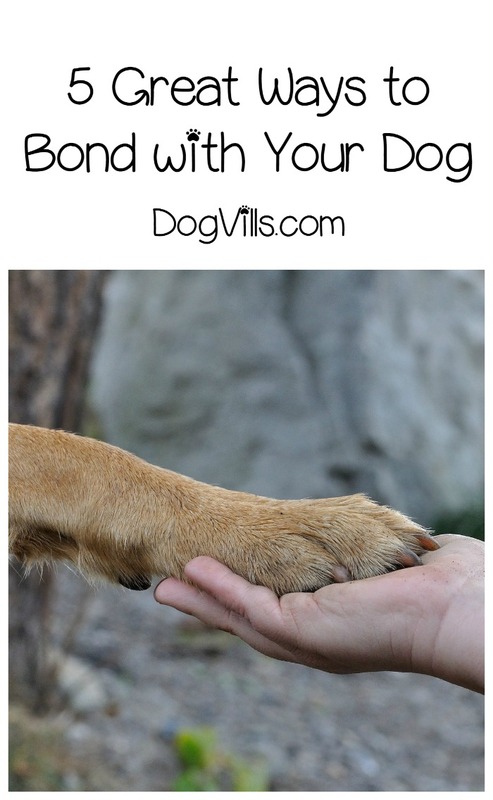 What are the best ways to bond with your dog? This is an important question to ask yourself! When you make the decision to get a dog, you are making a commitment to nurture, feed, protect, and care for another being totally dissimilar from you. That’s a big deal! You don’t know immediately what your new family member’s personality will be like and who they will become as they mature and become part of your household. Nevertheless, you want to form a bond with your dog so your relationship can be symbiotic and meaningful. Today, we’re talking about the most effective ways to create that bond and establish loyalty. What Are the Best Ways to Bond with Your Dog? Bonding with your dog is one part training, one part respect and a whole lot of love. You’ll need reasonable expectations, patience and, of course, compassion. Read on for our favorite tips for creating that unbreakable human/dog bond. 1- Respect who your dog is. My dog-girls, Gracie and Lucy, could not have more dissimilar personalities. Gracie, a 35-pound mutt, is fiercely loyal to her humans but doesn’t much like to cuddle; she hates the rain and gets very upset if she spends too much time in the backyard. Lucy, my 75-pound Golden, prefers to be outside, rain or shine, and will flop her huge body on your lap to snuggle if you let her. Since my dogs are different, I need to love them differently. It’s important to know your pet and respect her boundaries. 3- Don’t have inappropriate expectations. If you get home to find something has been chewed, don’t yell at her and put her outside. She knows you’re angry, but she doesn’t know why. Unless you catch her in the act of being naughty, yelling will only make her want to avoid you. Be firm, but calm, in your discipline. 4- Learn how your dog communicates and respond accordingly. Revelation time – your dog can’t talk. He wants to communicate with you, though, and he does the best he can to do so. Sometimes figuring out what he’s trying to tell you can be challenging, as you have to respond to the clues you’re being provided. Think back to the process of housebreaking your puppy. At first, you had to take him out every hour to avoid accidents in the house. Then, you had to start looking for small signs that he needed to go to the bathroom (walking near the door, circling, even just looking at you). Now that he is housebroken and while he can hold his bladder longer, when he has to go out, you get more overt signs like standing right by the door. All communication for your dog is that way. Pick up on the small signs now as clues to what he wants and needs. Soon, they will be easier to read, and both you and your dog will be happier. 5- Love your dog. This one seems straightforward, but for some, it’s not. Loving your dog doesn’t mean letting her sleep on your bed or eat from the table. It means you need to spend time with her. Pet her often. Praise her for even the smallest good behavior. Take her places with you – the dog park, a walk by the river, a visit to your parents’ house (if they’ll let you). She wants to be with and please her people! Although I already said it, it bears repeating – your dog has a deep desire to make you happy. Show her the love and respect is mutual, and you’ll create a strong bond that will last for life! What other ways have you found successful to help you bond with your dog? Share in the comments!